Oprah Winfrey recently announced a new line of frozen, cauliflower-crust pizzas, but will they actually make your pizza nights healthier? O, That's Good! Frozen Pizza, made in collaboration with Kraft Heinz, will come in four varieties, according to People (Five Cheese Pizza, Uncured Pepperoni Pizza, Supreme Pizza and Fire Roasted Veggie Pizza). The healthy kick? One third of each crust will be made from cauliflower. Plus, the $6.99 pies will be topped with part-skim mozzarella to cut down on fat and will contain no artificial ingredients. 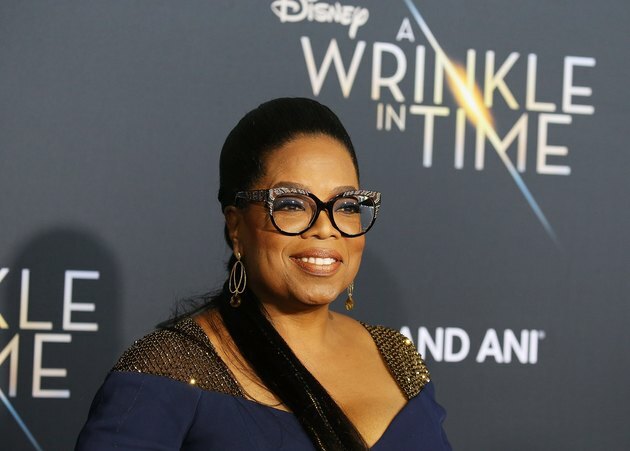 The new line is an expansion of Winfrey's health-conscious comfort-food brand, released last year, which already includes refrigerated soups and side dishes. Lauren Harris-Pincus, M.S., RDN, founder of NutritionStarringYOU.com and author of "The Protein-Packed Breakfast Club," tells LIVESTRONG.COM that the trend of cauliflower pizza crust emerged, in large part, due to a need for gluten-free convenience foods. And, according to Statista, an online market research company, that demand is only going up. It comprised 6.5 percent of all food sales in 2015, up from just 2.8 in 2013, and is expected to be valued at more than $7 billion dollars by 2020. As a result, you can find cauliflower-crust options at most grocery stores, including Whole Foods and Trader Joe's, while restaurants like New York-based Adoro Lei and others offer the gluten-free alternative on their menus. Brian Sullivan, senior vice president of culinary innovation for California Pizza Kitchen, tells Thrillist that more than 10 percent of CPK pizzas are ordered with cauliflower crusts. But are Winfrey's cauliflower-crust pizzas actually better for you than a pie with a normal wheat-flour crust? One-fifth of the Uncured Pepperoni Pizza clocks in at 330 calories, 740 milligrams of sodium, 4.5 grams of saturated fat and three grams of sugar. According to Harris-Pincus, that calorie count is "higher than one of the most popular traditional frozen pizza brands, with significantly more fat as well." And although most people don't consider frozen pizza to be a health food, "I'm concerned that the introduction of cauliflower into the crust, combined with Oprah's brand recognition as a "diet" brand, will cause people to look at this cauliflower pizza with a 'health halo,'" Harris-Pincus says. In other words, people may automatically assume any product by Winfrey is healthy and overlook the nutrition label. On top of that, one-fifth of a pizza isn't a realistic serving size for many people, so the calories may start to add up quickly. As for the added benefits of cauliflower like cancer-fighting antioxidants, phytonutrients, fiber and vitamin C? Sadly, Winfrey's pizza might not be the best way to get them. Each serving of O, That's Good! Frozen Pizza contains less than one full serving of cauliflower, meaning that it's not going to make an enormous difference nutritionally, according to Harris-Pincus. If you decide to try Winfrey's pizzas and are watching what you eat, Harris-Pincus recommends sticking to one serving and having it with a large salad or a pile of veggies. The takeaway? "Eat it because you like it, not because you think it's going to help you lose weight," she says.